I would consider myself an occasional drinker. I like having an alchoholic beverage with a special meal or at a party. My drink of choice is normally wine and it’s usually white wine. I like wine with a fresh, fruity undertone especially. I’m very picky when it comes to alcohol and I won’t drink a beverage just for the sake of having one. I need to savour and enjoy it. Last summer, I tried a few wines new to Nova Scotia including the Two Oceans brand. 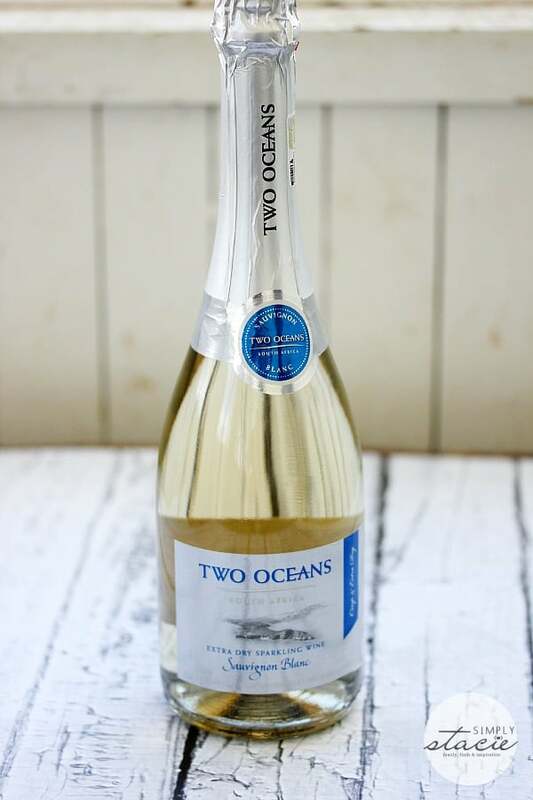 I had the opportunity recently to sample another Two Oceans wine: Two Oceans Sauvignon Blanc Extra Dry Sparkling Wine. It comes in a newly designed eco-conscious lightweight bottle. 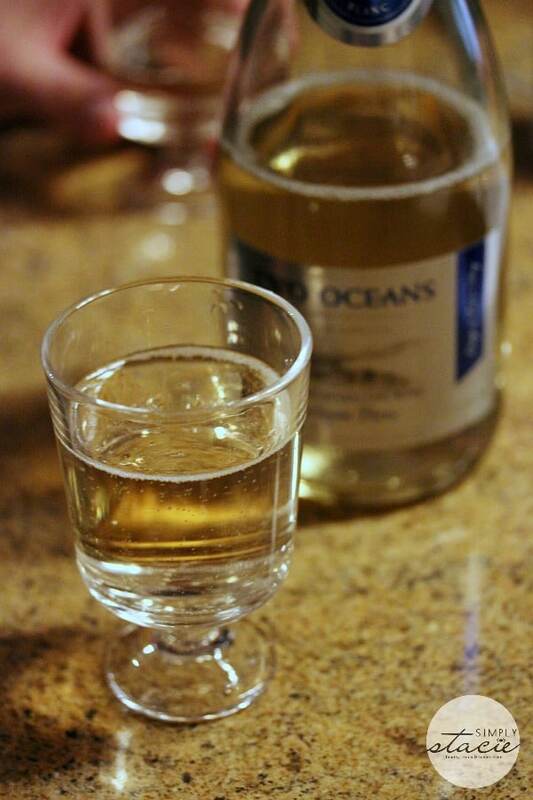 Two Oceans is a a South African wine from a region know as the Cape on the southern coast of Africa. The name comes from the two great oceans: the warm Indian Ocean and the cold Atlantic which come together in the region. We were heading on a trip to Ontario to visit family so I decided to bring the bottle with me so everyone could try it. My sisters and their significant others were at my parent’s house when we arrived. Later that evening, we opened up the bottle of Two Oceans Sauvignon Blanc Extra Dry and we all had a glass. It has a light, fruity flavour with lots of bubbles. It goes down really easily! Kai, my youngest sister’s boyfriend, especially enjoyed it and said that he would look for the brand on his next trip to the LCBO. The bouquet is a mix of tropical fruits including litchis, pineapples and granadilla. It also has green pepper in the mix too which surprised me. However, it tastes great so it obviously was a good choice to include it! 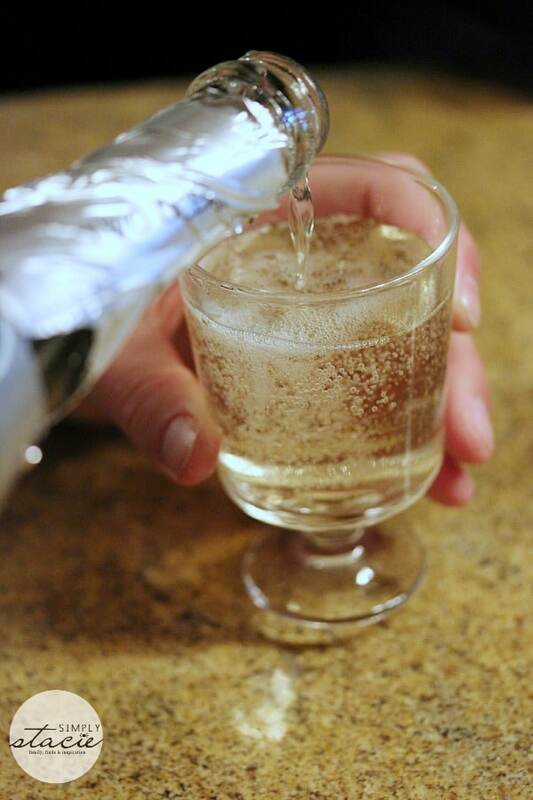 Two Oceans Sauvignon Blanc Extra Dry Sparkling Wine is versatile and can be enjoyed with any meal. It pairs well with sushi, salmon, salads, oysters and desserts. If you drink champagne cocktails, you can use this wine as a topper. The bottle was finished in one evening and was a hit with my family. Everyone remarked how much they enjoyed the flavour and thanked me for introducing them to Two Oceans. Consider picking up Two Oceans Sauvignon Blanc Extra Dry Sparkling Wine for your next family celebration. It would make a wonderful addition to a Mother’s day brunch. I myself don’t like dry wines, I’d much rather have a sweet one. I’ve always fancied trying ice wine but have never had the opportunity unfortunately. I love dry wines. Will have to give this a try. Wine is my drink of choice and this one sounds lovely! I prefer a dry wine and this one sounds great! I’ll have to keep an eye out for it! ooohh, looks yummy! I like sparkling wine once in a while, I will have to try this. I follow Two Oceans on Facebook but I haven’t tried any of their wine, I guess its a sign!! Sounds like a nice wine. I love the white vs the red. I always forget what the name of the wine is when I have a glass. I don’t drink much and it is nice to have a few favorites when dining out! Great review. You made it look so nice and inviting! Love wine but haven’t had white in a while! Thanks for the recommendation! I do like trying new wines, and this sounds like an interesting flavor profile. I like the eco friendly bottle too. I like the white fruity wines as well but have never tried a dry white wine. Will have to see if this is carried here. Sounds wonderful. We will have to ask our wine store to stock it, though! I don’t drink just to drink but my daughter often makes us mixed drinks with dinner. I would like to know more about wines and my tastes so I always like to read reviews. High praise that everyone enjoyed it and thanked you. Now we’re talking!! I love my wines and I love trying new ones. I never heard of this one.